Opening its doors just in time for LeBron James return to the Land. It’s not every day that Cleveland finds itself in the national spotlight. But tonight, the world will be watching when LeBron James once again takes the court as a Cleveland Cavalier. The day’s festivities don’t stop there though. 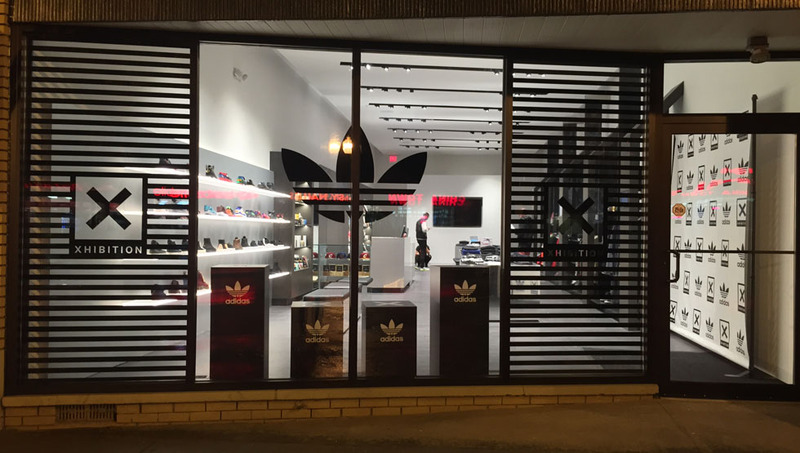 Aside from an influx of celebrities, a fan fest featuring performances by Kevin Hart and Kendrick Lamar, and energy that can be felt throughout the city, new boutique is opening its doors: Xhibition - which is just over a mile away from the Quicken Loans Arena. Ahead of the opening, we caught up with the shop’s Creative Director, Michael Hurley, to talk about the store, what to expect, and how LeBron’s return has impacted everything from their opening day to the product they’ll have available. 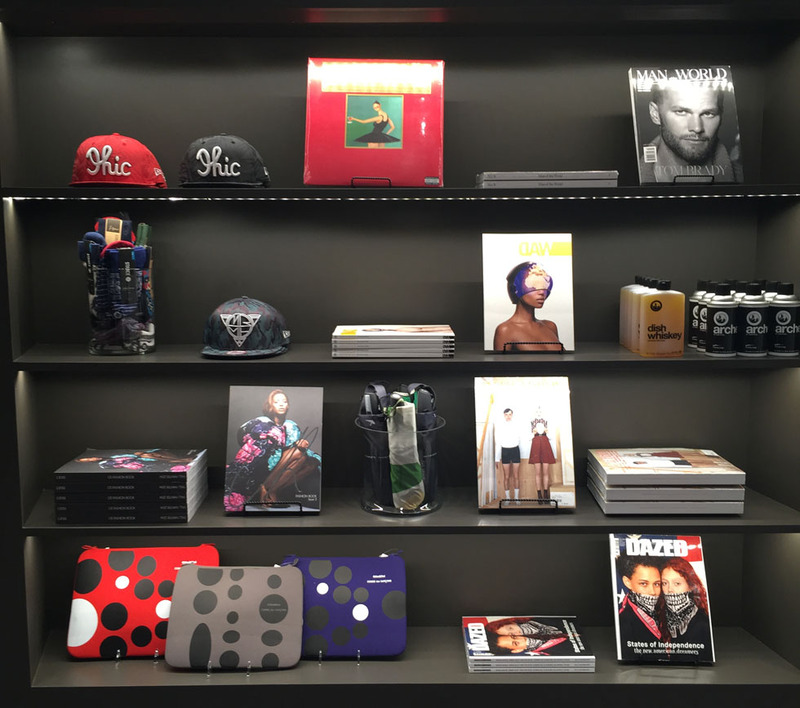 What's the concept behind Xhibition? Xhibition is a lifestyle driven store that will offer a very unique experience. We wanted to bring something new to a city that we feel is asking for it, and will support it. It's going to be the first of its kind here, with a very unique brand list. What are some brands you'll be carrying? We will carry a wide range of brands ranging like 3.1 Phillip Lim, Alexander Wang, Off White, Surface to Air, Don C, and Fear of God, while also offering a well selected range of Streetwear brands such as Stussy. On the footwear side the best of breed from Nike, Adidas, Asics, Converse, New Balance, Timberland, Public School and Jordan Brand. Does being in a city like Cleveland, as opposed to a place like New York, present any challenges as far as the brands you are able to bring in? It's gone both ways. On the positive side, we are a lot of the brands we offer only exposure to the city. I think it's all about the brands we are working with having trust in us that we are going to show their brand off from the proper platform. As you open today, what's some of the specific product you are most excited about? I'm excited to see people's reaction to all the different types of product that we've carefully selected, from magazines, books, skin product, toys, candles and of course the footwear and clothing. 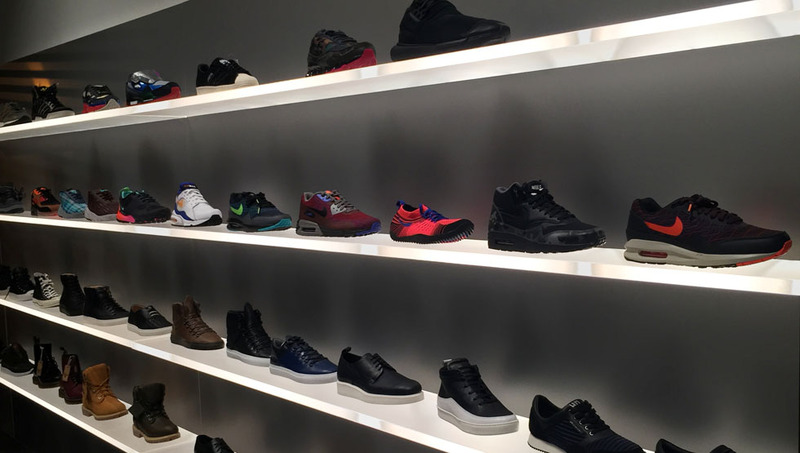 I'm personally excited to offer public school shoes on the same shoe wall as Raf Simons adidas, while sitting next to an AF1. It’s great to bring those worlds together and seeing the reaction the customer gives. What makes a boutique a good boutique? I think the product selection is very important, and giving the consumer an offering on a broad scale. I also think an uplifting educational staff is very important and can carry a store. We want to teach people about the product, not just sell it to them. It's important that you’re doing business 365 days out of the year, and have an offering that excites people not just with the on exclusive releases on Saturdays. Can we expect any collaborations? If so, can you share who they'll be with, and why you chose those brands? You can definitely expect unexpected collaborations. With this store, the main focus was to not only carry a brand, but to work with the brand to make sure their message is getting across. One of the ways we’ll be doing that is through collaboration, and have several in the works with brands we carry, like Mark McNairy, ASICS, Don C., Ibn Jasper/Diamond supply, John Elliott and several others I can’t mentioned quite yet. It doesn't always have to be product or about making money either, it could be a Q&A with someone in the culture that just drops knowledge. Will you have a web store and/or take phone orders? Yes, the webstore will offer about 90% of what we are selling In-store with the other 10% being available via phone order. Xhibition.com will be live very soon. 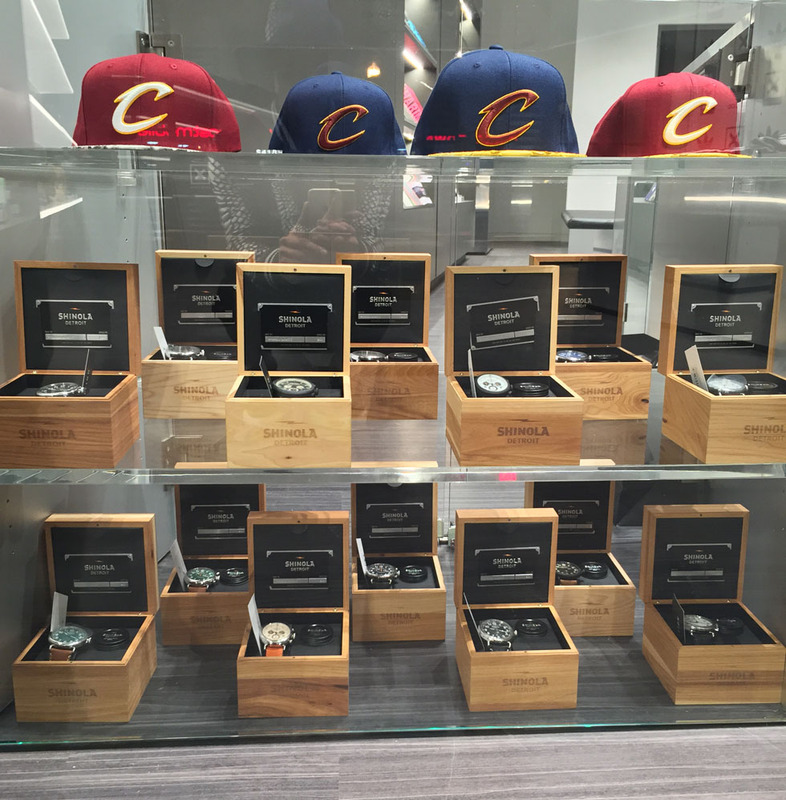 What's the start of the NBA season, and the return of LeBron, mean to the store and the city? Opening a shop like this is obviously a decision that was made a long time ago, but how did the announcement impact the process? The announcement definitely played a big positive role with the store opening, which is the reason for Xhibition opening the same day, due to the amount of people in town. The announcement actually played a bigger role then you might even expect, as it made things easier when working with brands, due to the energy in Cleveland right now. Brands want to have a presents in the city, whereas about 6 months ago, that wasn't always the case. 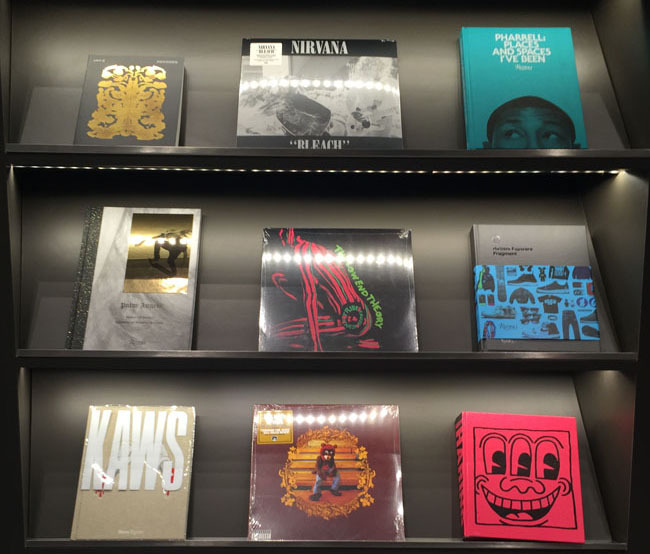 Monetary considerations aside, what will make Xhibition be considered a success? I hope to show the world Cleveland culture through the Xhibition platform.